The period covered by Arts:Search is 1912- 1916/17, 1920. Available soon. 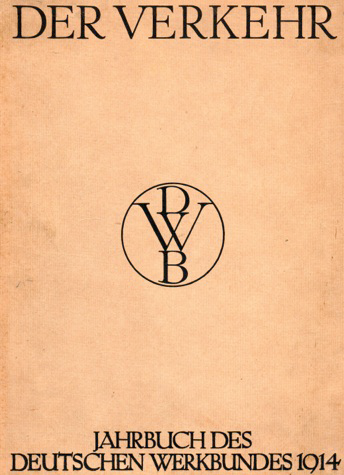 The yearbook of the Deutscher Werkbund (DWB) [founded 1907]. Volumes 1-5 of the yearbooks have the subtitle Jahrbuch des Deutschen Werkbundes; the subtitle of volume 6 is Jahrbücher des Deutschen Werkbundes. [There were no yearbooks issued in 1918 and 1919]. Membership of the DWB was open to architects and all active in the fields of design and the applied arts. The yearbooks contain a series of essays on recent developments in German design, followed by approximately 150-200 examples of representative work by members of the DWB. An exception to this format is the 1916-17 edition which was devoted to the design of war memorials and graves. Copyright © Design Research Publications 2015. All Rights Reserved.